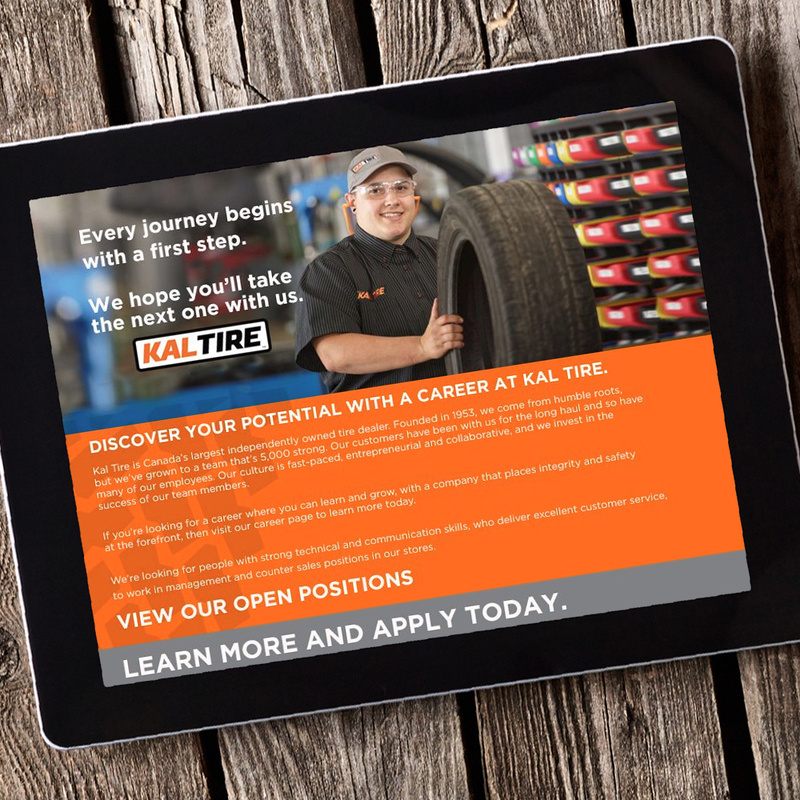 Kal Tire is Canada’s largest independent tire dealer and North America’s largest commercial tire dealer with 250 locations and over 5,000 employees. 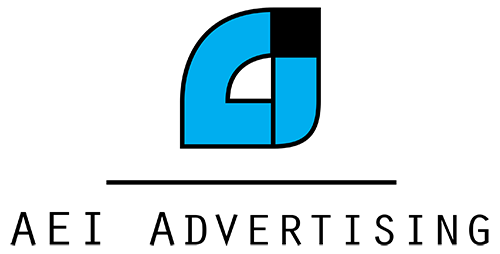 The company’s Mining Tire Group is a global leader in mining tire service and supply and operates on more than 150 mine sites across five continents. 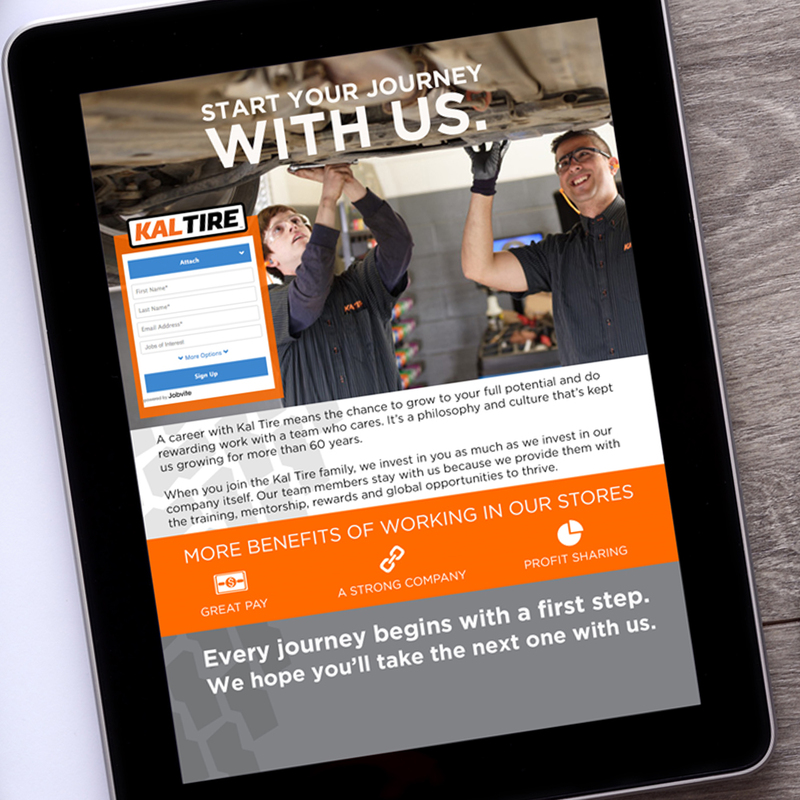 AEI Advertising worked with the company on a series of targeted career recruitment campaigns to engage and improve applicant rates at career fairs and drive candidates to apply at their stores. 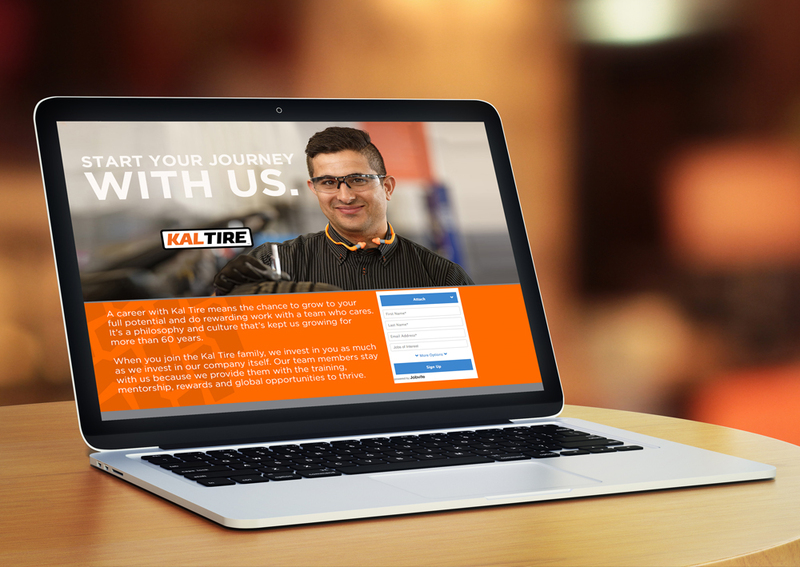 The campaigns utilized creative design and targeted messaging with web landing pages, accompanying eblasts and a social media strategy to drive a higher quality and quantity of job applicants to Kal Tire.